Welcome to the Nelson Mandela Foundation's first online annual report. We're excited to present a successful financial year in this new and innovative way, which we hope will allow you as the reader to browse through its contents with greater ease. Use the navigation menu above for a brief look at each section. 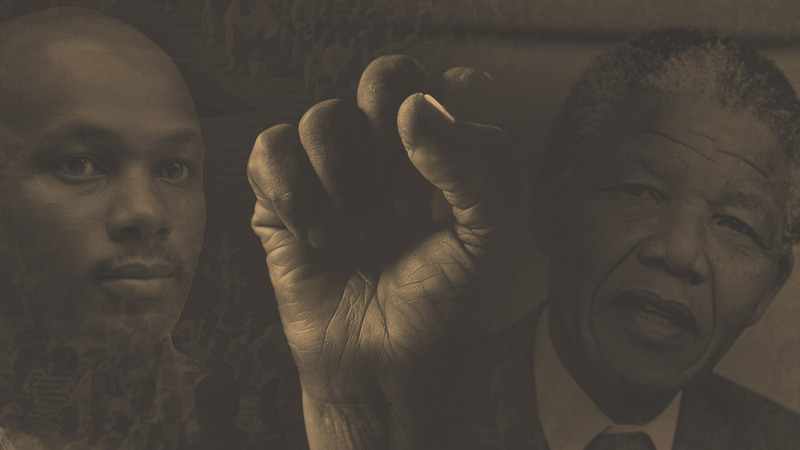 The core work of the Nelson Mandela Foundation’s research, dialogue and archive function is to generate an integrated and dynamic information resource on the life and times of Nelson Mandela, and to undertake the research and analysis required to support all Nelson Mandela Foundation functions. The Barclays/ABSA Literacy for Leadership interactive dialogue process, using the film Mandela: Long Walk to Freedom and the Nelson Mandela: The Authorised Mandela Comic Book to reach 4 500 learners nationally between grades 8 and 10 (as well as 1 000 educators), was rolled out successfully. The Foundation continued to support the Life College's social entrepreneurship initiative Nelson Mandela: The Champion Within programme. On 25 May 2015, the Foundation hosted a youth dialogue on xenophobia in partnership with the social enterprise, Sakha Ingomso Lethu. At the South African Book Fair the Foundation partnered with Pan Macmillan to convene an inter-generational dialogue on revisiting Mr Mandela’s legacy. The Foundation served on a Gauteng Education Department task team addressing racism in schools. In September the Foundation co-convened, with the Ahmed Kathrada Foundation and the University of Witwatersrand, a dialogue on race with over 40 representatives of university Student Representative Councils. The international Mandela Dialogues moved to Bosnia in June for an intensive engagement of lessons learned from the first series with Balkan contexts. Funding has been secured for a second series of dialogues to unfold in 2016-17 in partnership with Germany’s Global Leadership Academy. The Foundation began planning a dialogue for October 2016 between South Afruicans and Sri Lankans on transitional justice. The Foundation continues to partner with the Open Democracy Advice Centre in support of the Open Government Partnership (OGP) process. On 1 April 2015 the Foundation was one of four NGOs hosted by the Department of Public Service and Administration for a civil society consultation on the OGP. In July the Foundation hosted a civil society OGP meeting as well as a meeting of the international OGP steering committee. The Foundation has participated in further state-civil society dialogues. The Archival Platform project, a joint endeavour with the University of Cape Town, launched its State of the Archives in South Africa Report and workshopped it in all nine provinces. The Archival Platform has twice been invited by Parliament to make presentations on this report to the Portfolio Committee on Arts and Culture. The report won an award from the Western Cape Provincial Government. The Archival Platform covened provincial workshops on the Protection of Personal Information Act. A third focus group dialogue resulted in the development of a position paper and the commissioning of three responses to it. These were published online by both the Foundation and the Mail and Guardian. The paper was the focus of a dialogue forum hosted by the University of the Free State in August 2015. In May and August 2015 the Foundation co-convened workshops with the Ahmed Kathrada Foundation designed to inaugurate a network of institutions involved in anti-racism work. The Anti-Racism Network of South Africa (ARNSA) was launched in November 2015 and at a press conference at the Foundation in February 2016 ARNSA announced Anti-Racism week for March 2015. In September 2015 a dialogue was conducted with tertiary institution SRCs in collaboration with the Ahmed Kathrada Foundation and the University of Witwatersrand. Also in September 2015, the Foundation co-convened with the South African History Archives a dialogue on South Africa’s traditions of non-racialism. In February 2016 the Foundation co-convened with the Ahmed Kathrada Foundation and the University of the Witwatersrand a dialogue on black identities. This was the theme for the 2015 Nelson Mandela Annual Lecture and subsidiary dialogues. The Foundation commissioned two papers on the theme to inform discussions with the University of Cape Town and other research-based institutions on a potential poverty and inequality project. During the Annual Lecture the Mandela Initiative on Poverty and Inequality was launched. This cross-sectoral and cross-disciplinary project is aimed at generating a national conversation on arguably the biggest challenge facing South Africa. The Foundation hosted a dialogue convened by The Hunger Project on poverty in Africa. The Foundation partnered with the Council for the Advancement for the South African Constitution (CASAC) in convening a focus group on the Marikana Commission Report. Two analysis papers were commissioned and formed the basis for further interventions. CASAC subsequently made a submission to Parliament. The two organisations are working on a dialogue for April 2016 addressing the broader issues informing land and traditional leadership. In addition to programme-oriented dialogues, the Foundation provides for ad hoc interventions on issues of critical importance. In 2015 xenophobia constituted such an issue. The Foundation partnered with the Ahmed Kathrada Foundation in convening a highly successful inter-sectoral dialogue on xenophobia on 7 May 2015. This was linked to the launch of the exhibition On the Frontline. The Foundation also participated in a network of civil society organisations; hosted a dialogue for writers and artists; and attended a consultation with civil society hosted by the Gauteng premier’s office. See also details of the youth dialogue on xenophobia above. The Foundation hosted two dialogues with the Gordon Institute of Business Science and one dialogue with the Young African Leaders Initiative on the legacy of Nelson Mandela; a Brand South Africa dialogue on Heritage and Statues; a National Heritage Council meeting on social cohesion; and an AU side-panel meeting. On 15 December 2015 the Foundation marked the anniversary of Mr Mandela’s laying to rest by convening a dialogue about the future of South Africa. The dialogue, entitled Imagining Futures, saw three diverse young South Africans – CEO and businesswoman Trudi Makhaya, student activist and Wits SRC president Nompendulo Mkhatshwa, and rapper and poet Tumi Molekane – engaging with Mr Mandela's legacy with an audience that included members of his family, ambassadors, high commissioners and representatives of the Mandela Rhodes Scholarship programme, among others. Staff members contributed to professional publications and delivered papers or taught classes in Bosnia, Brazil, Kenya, New Zealand, South Africa and the United States.